Steven Hart is a journalist and freelance writer based in New Jersey. Go to the links on the left and you’ll find samples of some of his Web-accessible writing, which has appeared in The New York Times, the Philadelphia Inquirer, Salon.com and several other venues. He has been a featured guest on The Brian Lehrer Show and The Leonard Lopate Show (WNYC) and On The Media with Brooke Gladstone. 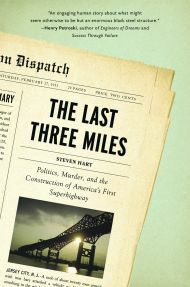 His first book, The Last Three Miles: Politics, Murder, and the Construction of America’s First Superhighway, is now available in hardcover from The New Press. 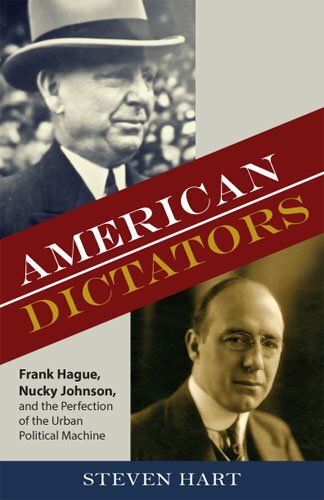 His second nonfiction book, American Dictators: Frank Hague, Nucky Johnson, and the Perfection of the Urban Political Machine, will be published in October 2013 by Rutgers University Press. His first novel, We All Fall Down, is now available from Black Angel Press. 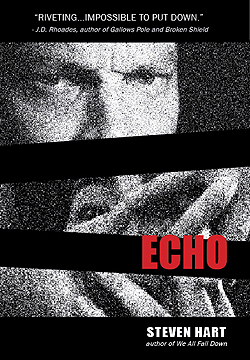 His second novel, Echo, will be published in September 2013 by Black Angel Press. Steven Hart is represented by Writers House literary agency. You can contact him at hart(dot)stevenhart(at)gmail(dot)com.